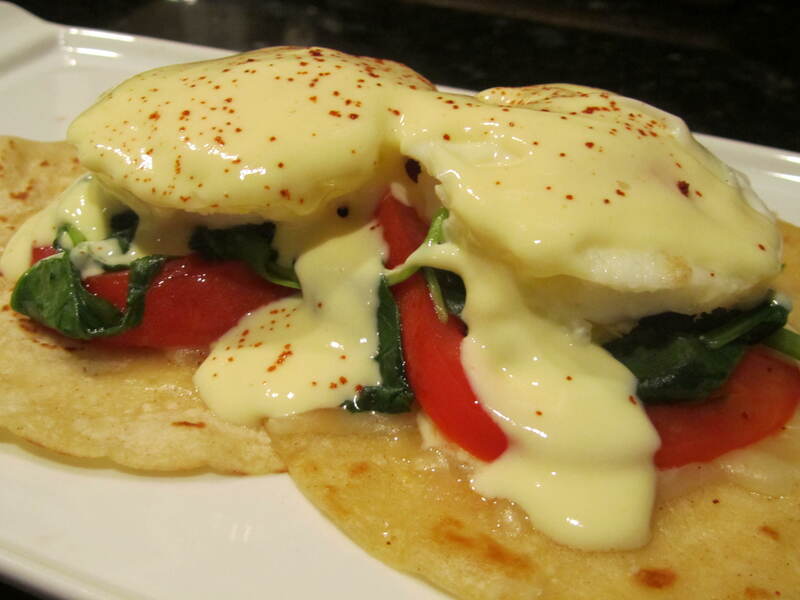 7) Finish assembling each serving: top tomato and spinach with cooked eggs and Hollandaise sauce; lightly sprinkle with paprika; serve immediately and let ’em scarf away! According to Junior and Junior Too, I’ve finally mastered the pizza (yeast tends to stump me). However, Junior Too advised me to stick to pizzas like this one and my taco pizza and leave traditional pepperoni and supreme pizzas to pizza joints, Freschetta, and Digiorno. Sniff…some habits are just hard to break. 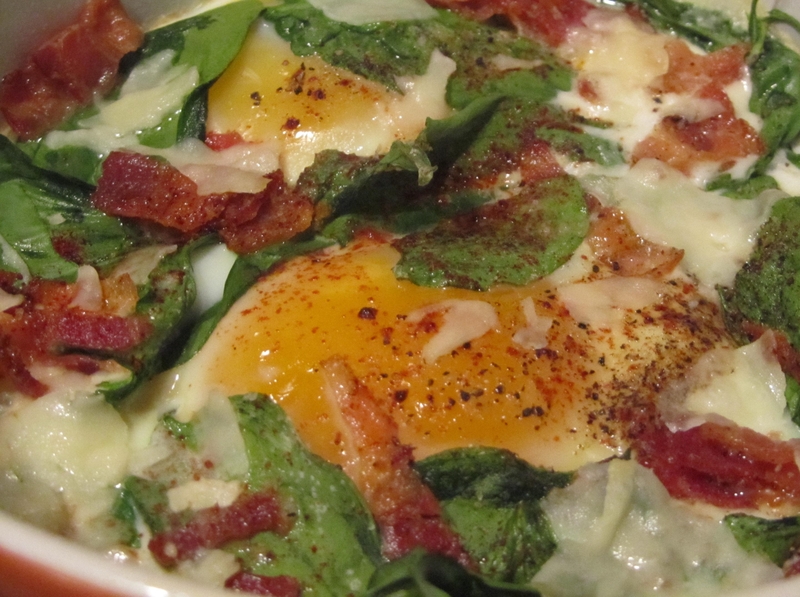 3) Bake 7-8 minutes; turn on broiler and bake additional 4-5 minutes until eggs set to your taste; enjoy! 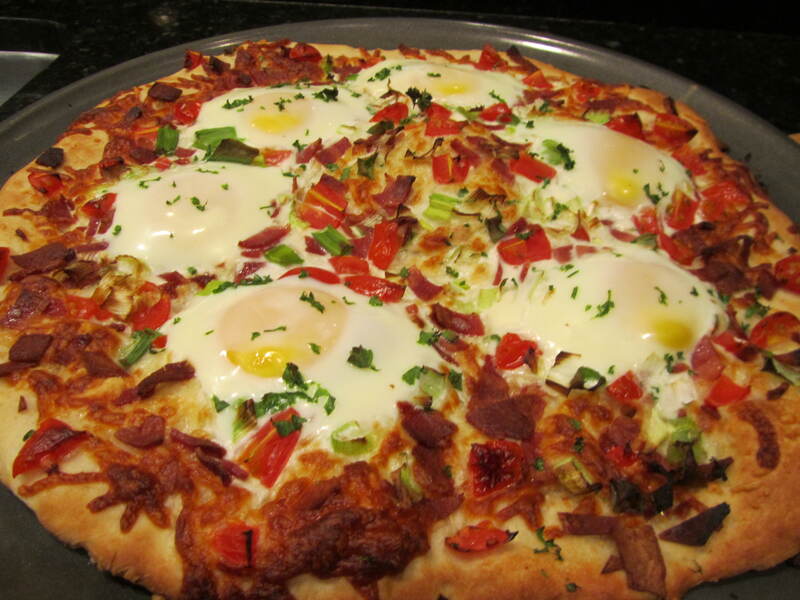 This was one of those breakfast-themed dinners of which my guys are so fond. And they were not at all disappointed with this recipe which is amazingly tasty–better yet, easy to put together. 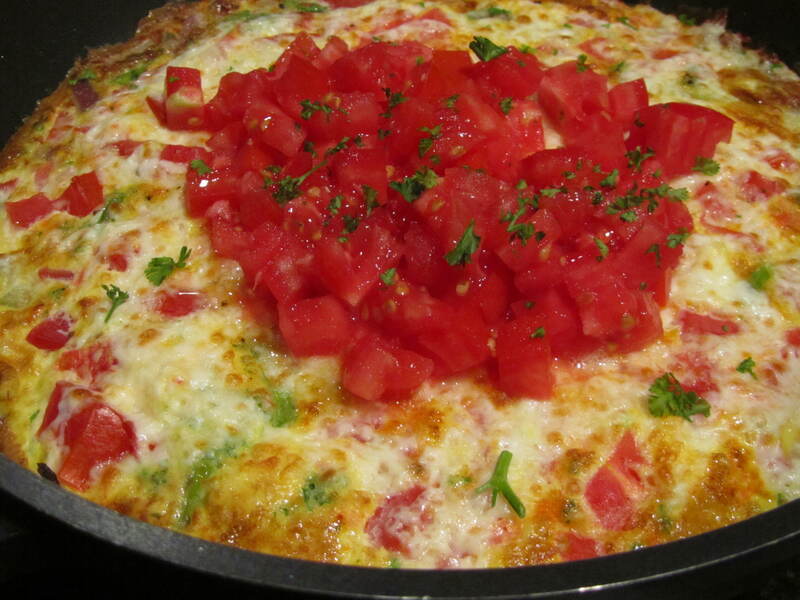 Though I served it in individual casserole dishes, it works equally well in a large casserole dish. Enjoy! 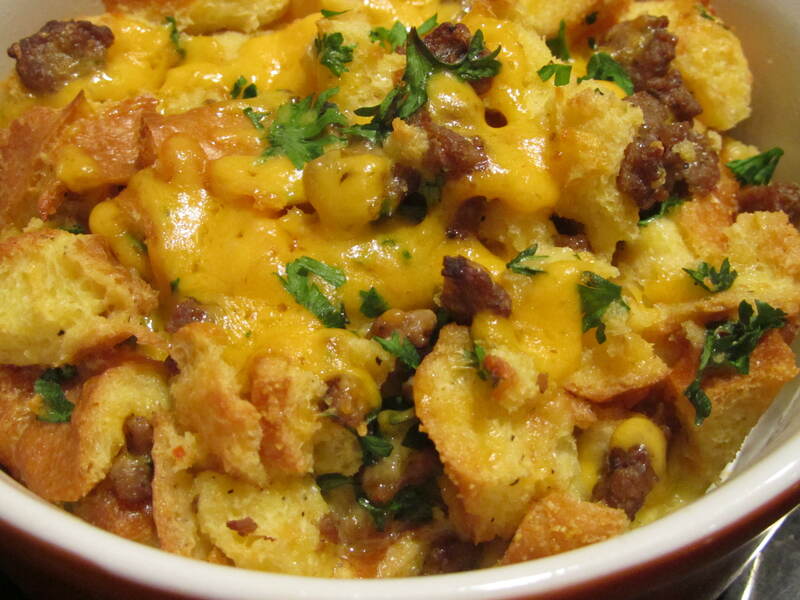 Yes, it’s another crowd-pleasing breakfast casserole–a special request from Junior who surprised us with a visit home from university. 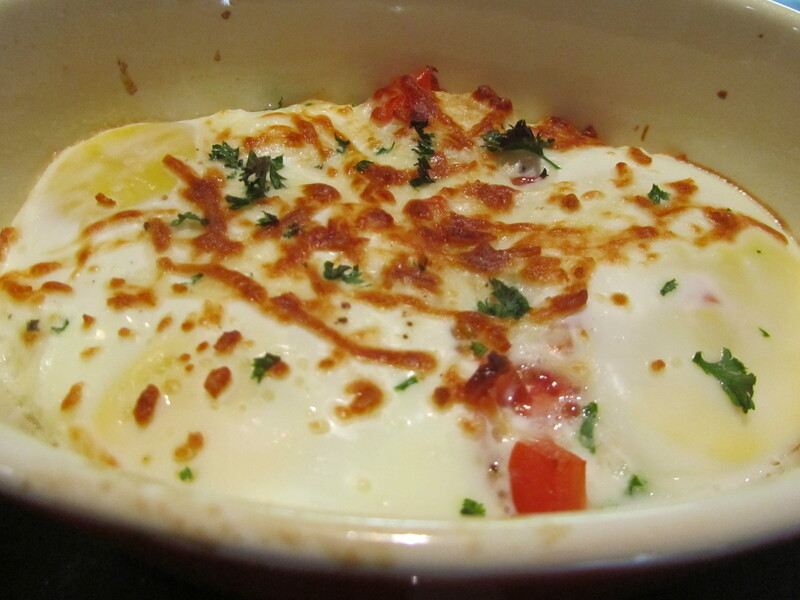 Though I made this in individual casserole dishes, it can be prepared in a large baking dish, but you’ll have to adjust the cooking time upward a bit. Was Junior happy with his special request? Oh, yes, and those two extra individual casseroles will soon be installed in his dorm room fridge. Go mom! 4) Lightly oil 6 individual casserole dishes; divide egg-bread mixture between casserole dishes and bake in oven 40 minutes until golden brown and just firm in center; scatter reserved 1/4 cup cheese over casseroles and bake additional 3-5 minutes until cheese melts; remove from oven and dig in! 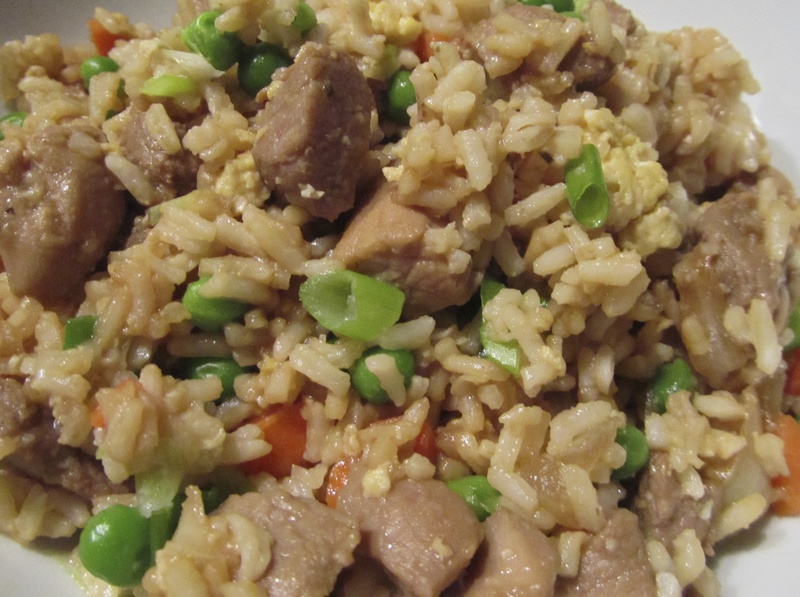 Pork Fried Rice–love it! Fortunately, it’s relatively easy and quick to put on the table. Although our family usually leans more toward chicken, there’s no beating juicy pork tenderloin in fried rice. All thumbs up!